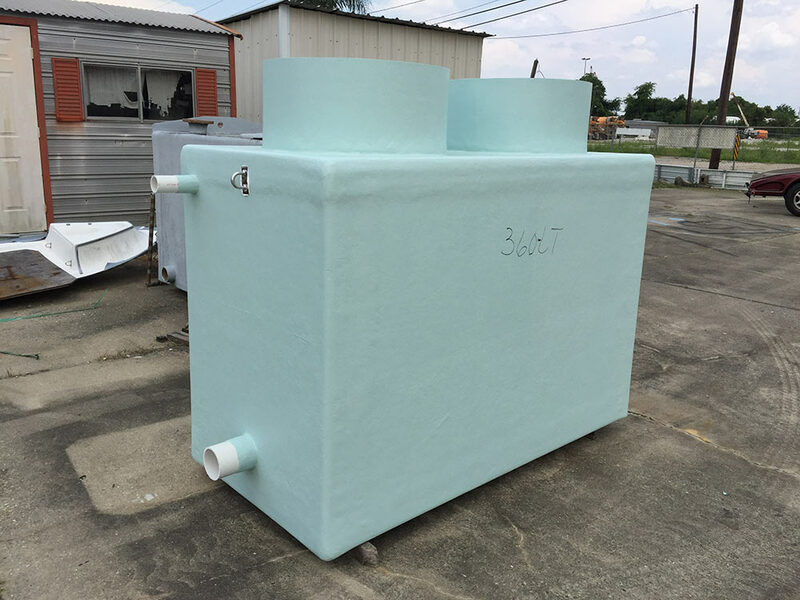 Jefferson Fiberglass offers custom grease traps and oil interceptors for commercial clients across the Gulf Coast region. We can accommodate a wide range of working capacities and traffic flows for both above and in-ground usage. Grease traps are instrumental in the continued effectiveness of plumbing systems, wastewater treatment facilities, and septic fields. Not only do traps help prevent grease from entering into these systems, but they also block oil, sediment, lint, hair, and other potentially harmful solids. 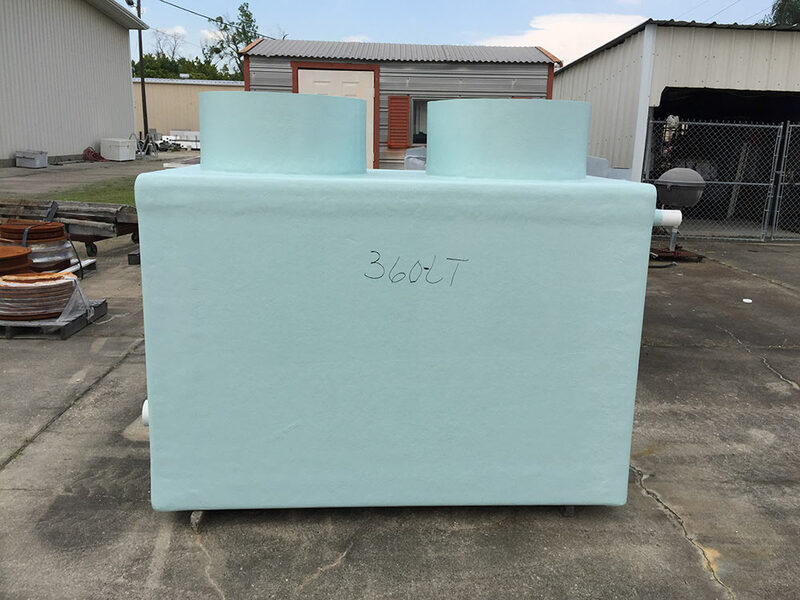 Most importantly, our fiberglass traps won’t corrode or rust, so you can rest assured that they can help keep hazardous particles from negatively affecting the environment. 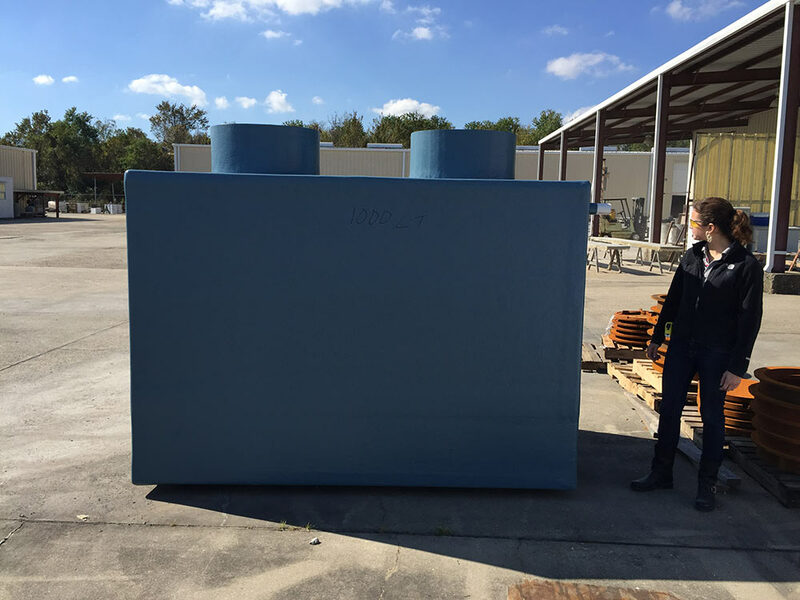 We offer various sizes, some with the capacity to hold hundreds of pounds of liquid. Trap styles can include automatic, threaded, non-threaded, and low profile. Oil interceptors are made to collect and transport oil. This process is usually completed through the use of a draw-off connection. 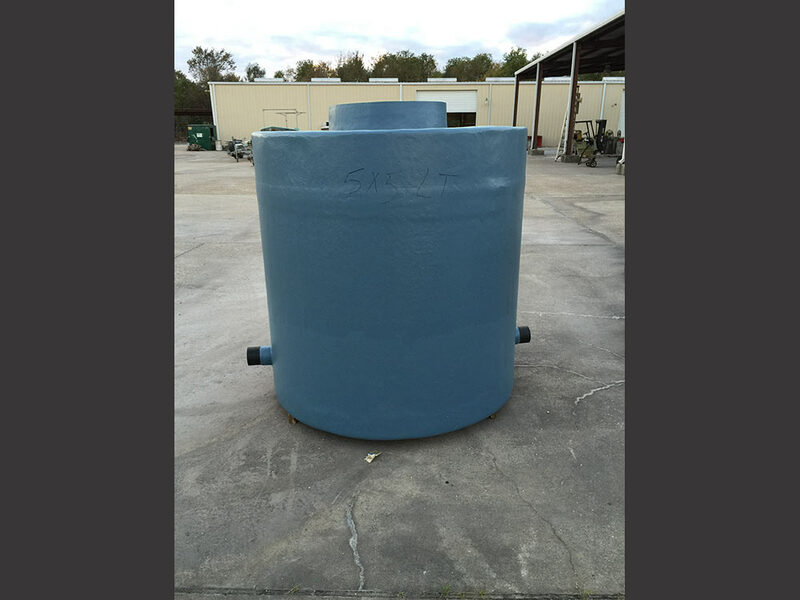 The interceptor normally includes three main components: a separation area, a bucket for solids, and a baffle plate. 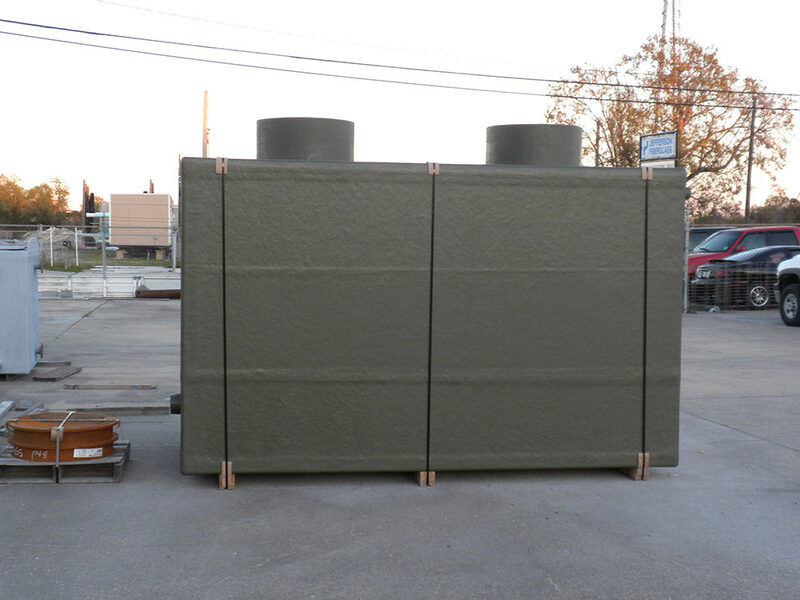 The job of the baffle plate is to diffuse the flow and reduce the turbulence of any incoming water. Solids and sludge are sent to the solids bucket. The diffusion of the water flow is particularly important, as it creates an environment that allows the oils to rise to the water’s surface and travel through the interceptor, thereby removing the oil from the water. Our products are suitable for a variety of uses and industries. 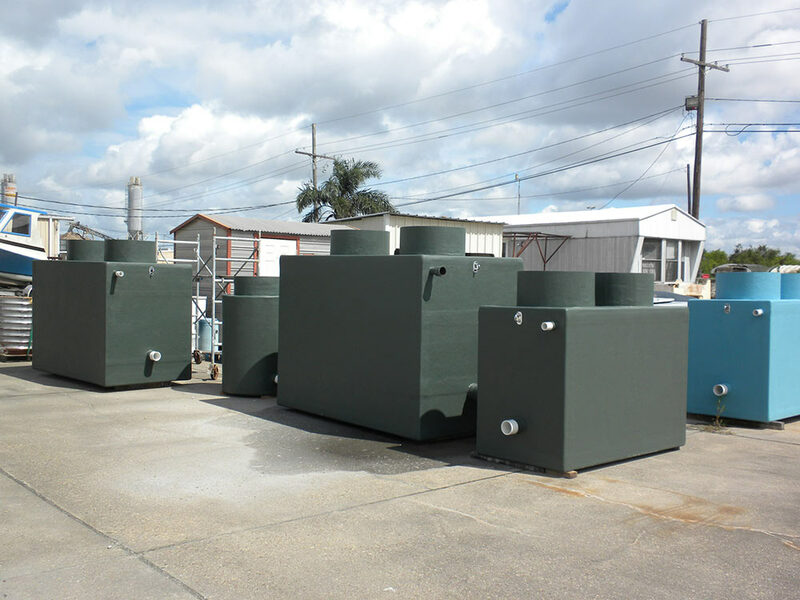 Grease traps and oil interceptors are frequently used in parking garages, industrial plants, manufacturing facilities, machine shops, and service stations. Along with the plumbing industry, we are also equipped to service commercial clients such as construction companies and architecture firms; and these are just a few of the many hospitality industry products we have available. 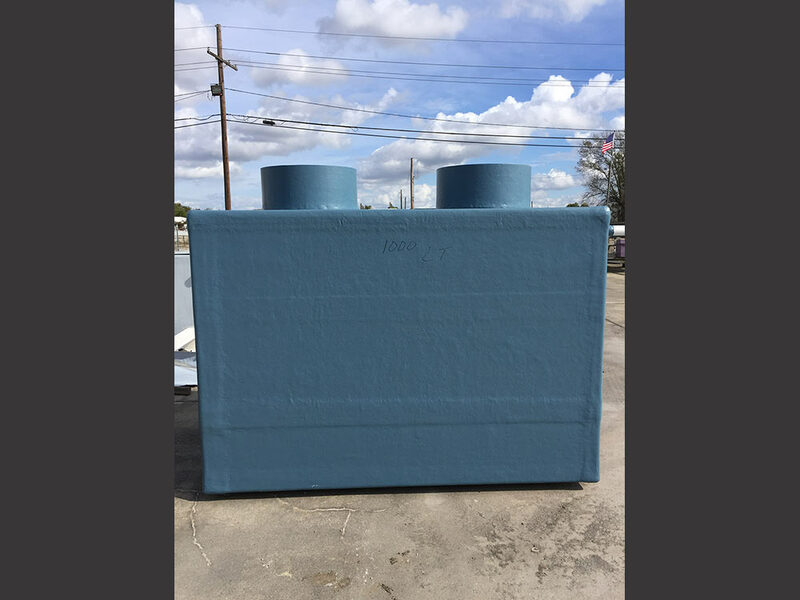 If you are in need of high-quality fiberglass grease traps and oil interceptors, give Jefferson Fiberglass a call today at (504) 347-6612 or tell us about your project online. 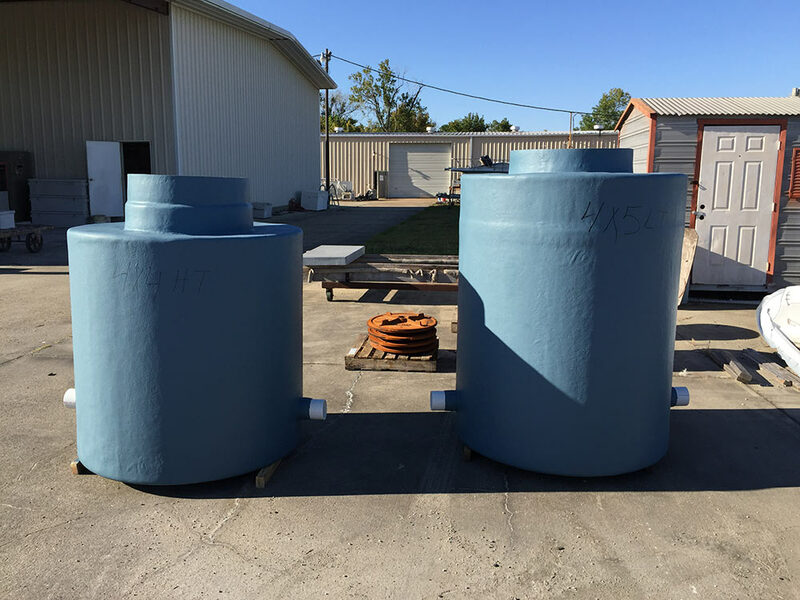 Each of our fiberglass products is made to fit your business needs, and we will work with you to find a price point in your budget.